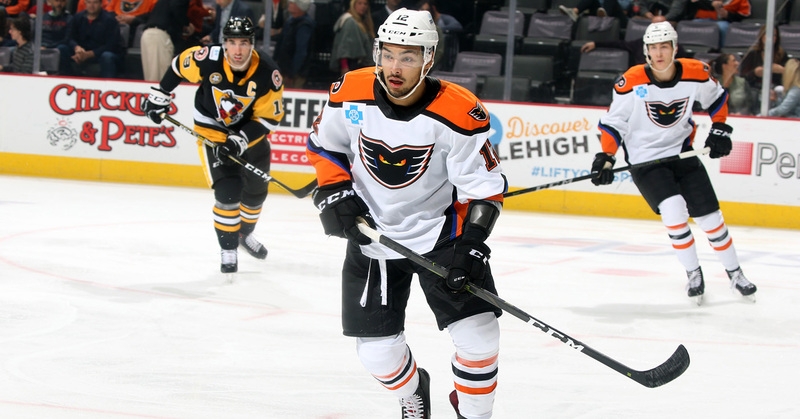 The Philadelphia Flyers, parent club of the Lehigh Valley Phantoms, announced today that they have returned on loan forward Tyrell Goulbourne to the Phantoms. A 24-year old from Edmonton, Alberta, Goulbourne currently has a goal and three assists for four point in just 10 games with the Phantoms this season. After earning his second recall to the NHL this year on November 22, he made his NHL season debut with the Flyers on November 23 against the New York Rangers. Goulbourne has now appeared in two games this season. After playing in his first NHL contest on January 6, 2018, as well as eight additional games with the Flyers towards the middle of 2017-18, Goulbourne wrapped up his third professional season with eight goals and 11 assists for 19 points over 63 contests with the Phantoms. All times are GMT -2.5. The time now is 06:20 AM.